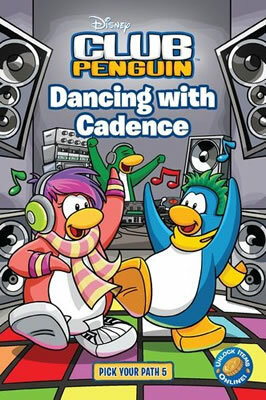 Club Penguin has recently released Dancing with Cadence. They have been writing lots of books, so be sure to check out our Club Penguin Book Codes page for other book codes. IMPORTANT – If you take these codes for your own site, you must leave a link on the post to this page. Do you like cadence? Is she your favorite Club Penguin mascot? Leave a comment and tell us about your experience with Cadence! KOOL AND AWSOME!! I GOT 2000 COINS! !